On 20 April 2010, whilst drilling an exploratory well at a depth of 5,000 feet, around 41 miles off the south-east coast of Louisiana, disaster struck BP Deepwater Horizon. The explosion and subsequent destruction of the oil well caused 11 deaths and billions worth of natural and economic damage along the Gulf of Mexico. Deepwater Horizon was an ultra-deepwater offshore drilling rig, owned by Transocean, on long-term lease to BP. Prior to the explosion, Deepwater Horizon was considered a “lucky” well, responsible for drilling the world’s deepest offshore well, in 2009, at over 35,000 feet deep. That all changed in April 2010, when an uncontrollable blowout caused an explosion and fireball that was visible from 40 miles away. It took a further five months to cap the well, using relief wells, before it was declared sealed on 19 September 2016. Tragically, for the 11 who died, and thousands more affected along the coast, it was too little, far too late. Deepwater Horizon: Who Is Responsible? Apportioning blame in a case such as this is not easy, but no one involved – none of the corporations linked to this disaster – could avoid the consequences. Firstly, from the various investigations and lawsuits surrounding this case, let’s look at who is liable for judicial penalties and fines. BP leased the rig. Transocean owned it. Halliburton, the market leader in oilfield services, provided the cement that was meant to prevent this disaster, was also culpable. Secondly, the scale of this oil spill is unprecedented. Approximately 4.9 million barrels of oil spilled into the Gulf of Mexico. The litigation started almost immediately. Hundreds of lawsuits were filed, many civil cases getting bundled into a Multidistrict Litigation (MDL) docket, in the U.S. District Court for the Eastern District of Louisiana. 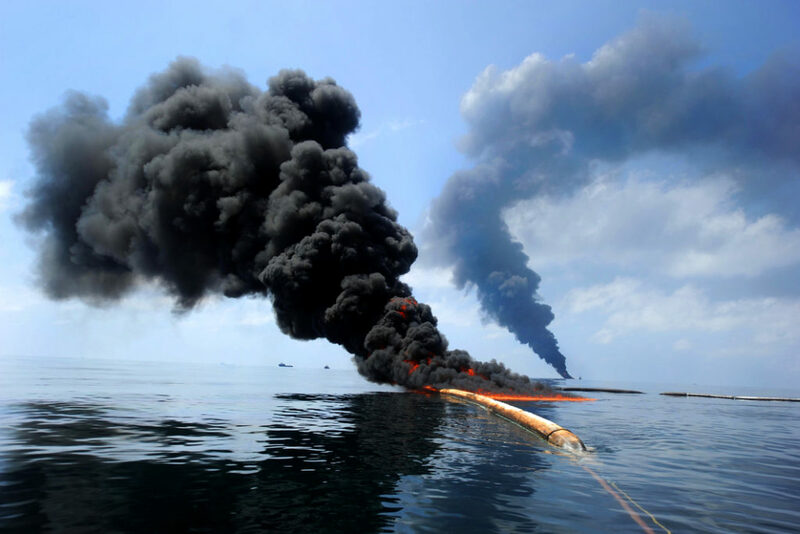 In September 2014, U.S. District Judge Carl Barbier ruled that BP was guilty of “gross negligence and wilful misconduct”, which resulted in fines split between BP, Transocean and Halliburton. BP had already spent $28 billion on cleanup costs and other damage claims. Halliburton was forced to settle for $1.1 billion in a separate case brought against it by BP, arguing that the contractor was responsible for the disaster. The US Department of Justice criminal investigation is ongoing, with BP already pleading guilty to 11 counts of manslaughter. However, on top of the $18.5 billion BP – and the other litigants – are paying five states, under Clean Water Act penalties, the DOJ have been fined them a further $4.5 billion. Overall, this disaster will cost BP over $50 billion, as the company primarily responsible for Deepwater Horizon. Prevention is far better than cleanup. In this case, flawed plans were approved that failed to include sufficient cement “to overlap the final and previous casing strings, and that does not require running a cement bond log to ensure the integrity of the seal is a defective plan,” according to a geologist with 32 years experience in the oil and gas industry. The automatic blowout preventer also failed at the crucial moment. After that, there was no way to prevent the explosion, fire, rig destruction and oil spill that lasted months and caused billions worth of damage. But that isn’t the only takeaway from this disaster. Government safety oversight was insufficient. The Minerals Management Service (MMS) described the “the Deepwater Horizon as an industry model for safety”, despite most inspections only lasting two hours. After the disaster, the MMS was split into three separate agencies and agents were given more tools and time to inspect wells. Ultimately, industry practices did not stop a preventable disaster. Contractor and government failings merely amplified the problem. Risk awareness is heightened in industries where accidents like this can happen, but clearly, there was inadequate compliance and oversight at management level. Fractured responsibilities and poor communication between companies and contractors made matters worse. In high-risk sectors, there needs to be a more enforceable system of assessment and risk management. Concerned about your company’s risk management and compliance systems? Give us a call today: 01248 719270. Find out more.